EXPERTS are calling for the wider implementation of “valuable” clinical ethics services across the health system to provide support to doctors and patients, improve education and inform policy. Professor Wendy Rogers, professor of clinical ethics at Macquarie University, Sydney, told MJA InSight that although ethics support was not a one-size-fits-all solution, it did create clear and formalised methods for negotiating some of the most difficult issues doctors face. Funding for clinical ethics support remained a challenge, “but when you have an intractable ethical dilemma, this also costs time and resources, so clinical ethics support might actually be a more cost-effective approach”, she said. The research was based on observations and interviews, conducted between April and November 2012, with 11 medical staff, 18 nursing and midwifery staff, and one psychologist. The interviewees included 24 women and six men and covered different seniority levels, age groups and ethnic backgrounds. The research showed that ethics was not typically an explicit feature of clinical deliberations and doctors tended to apply basic principles when ethical problems were identified. They also discussed difficult decisions with colleagues, and tried to resolve differences by discussion. The authors found that participants judged the ethics of clinical practice to be “mostly right”, primarily because ethics was “woven into” the culture of the hospital, and because doctors assumed their colleagues were competent in dealing with basic moral questions and aimed to optimise patient care. Nevertheless, they said most doctors would welcome ethics support because ethics was not always “done well”, and might be a source of conflict. “Our findings therefore suggest that helping clinicians to provide ethically sound patient care should be a priority for Australian public hospitals”, they wrote. Study co-author Associate Professor Ian Kerridge, of the University of Sydney’s Centre for Values, Ethics and Law in Medicine, told MJA InSight that the most important message to take from the study was that health care facilities needed to have access to clinical ethics support. Professor Kerridge said it was crucial that this service be integrated into the structure of health facilities and “sufficiently resourced so that it is functional, and sufficiently independent so that it can provide ethical critique — including of the institution itself”. “What shape this should take will depend upon the particular need that the health facility has”, he said. 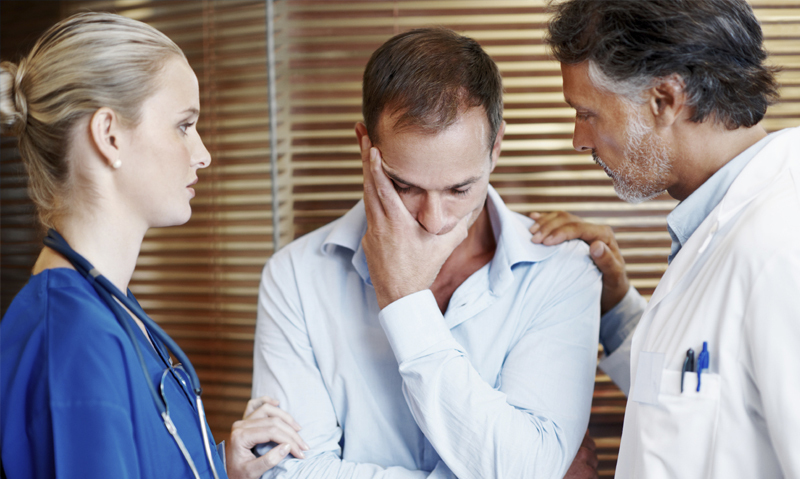 Alison Verhoeven, CEO of the Australian Healthcare and Hospitals Association, agreed with the need for additional support for doctors facing moral dilemmas, including end-of-life care decisions or the rationing of scarce resources. She told MJA InSight that future investigations must determine the best mechanism to provide this support, “to ensure that the approach improves practice rather than creating additional barriers, such as delays to the provision of care”. Associate Professor Lynn Gillam is the academic director of the Children’s Bioethics Centre at the Royal Children’s Hospital (RCH), Melbourne, which provides ethics support for clinicians within the hospital via a case referral system. “This involves a multidisciplinary team meeting, which is a safe and fair place for ideas to be discussed within an organised, ethical framework”, she told MJA InSight. Professor Gillam said doctors at the RCH felt the ethics referral system was a valuable service and that it made it easier for them to overcome conflict, make difficult decisions, and speak to a patient’s family. She said the ethics meetings were now taking place at least once a week at the hospital, highlighting that “when ethics support is made available, clinicians will use it”. Professor Kerridge said the benefit of clinical ethics support was not limited to assisting doctors, patients and families to deal with ethically complex issues. It would also serve as an educational resource, promote debate and reflection, and contribute to growing an ethical culture in a health setting. Professor Rogers agreed, saying that clinical ethics support could even “feed upwards into health policy development”. “For example, it can facilitate the discussion in hospitals around their policies on conflict of interest”, she said.